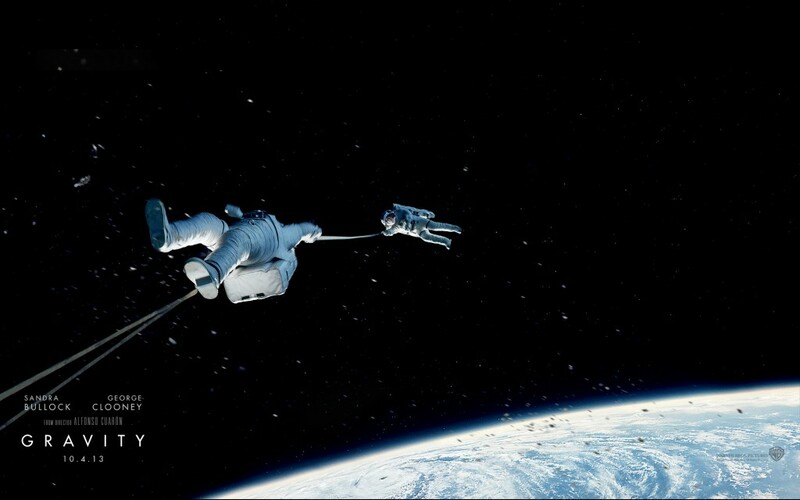 There’s been a lot of discussion online and off about the new movie, Gravity. If you have seen it, you’re probably wondering about the science and engineering depicted in the film – how true/accurate is this? The short answer is: not very. Gravity the movie Credit: Warner Bros.
Having said that, the movie certainly does inspire popular fascination in space flight, which is something we here at ESA try to do, too, so maybe the dodgy science isn’t so bad after all! But once you’re back home from the theatre, it’s natural to wonder what’s real and what isn’t in Gravity. So, to help offset any possible CSI effect, we wanted to share with you a series of links from ESA, the BBC and other sources that do a terrific job of separating the ‘Sci’ from the ‘Fi’. In many ways, the reality of space flight is even more compelling than what we see on the big screen! First, take a moment to read this terrific article in the BBC, “Can science fiction ever get the science right?” My favourite quote is from Ed Trollope, a spacecraft operations engineer, and relates to two fundamental physical effects: sound and momentum. There’s a simple cinematic reason for having the sound of an explosion when a spacecraft blows up – it feels right to the viewer. But other conventions are more difficult for scientists to accept. That last bit, about inertia and not stopping if you turn your engines off, is as fundamental as you can get to the science and craft of spacecraft operations. It’s one of the concepts that we at ESA/ESOC have to deal with more or less daily as we operate our satellites and vessels and – just as importantly – work to share with the wider public what we’re doing. Of course, the ISS, for example orbits low enough to be dragged down by the faint wisps of Earth’s atmosphere at 400km, so it does need to be ‘speeded back up‘ every so often, which ESA’s ATV does with regular effect. And a satellite, like GOCE, that is even lower (and therefore that experiences even more atmospheric drag) needs constant (or at least very regular) thrusting to keep it in orbit, otherwise it falls toward Earth. But a vessel or satellite on a trajectory in space experiencing no other forces does, indeed, continue on its merry way at the same velocity (until it does experience a slowing force, however slight!). So, all those fabulous Star Wars movies? In which you see TIE Fighters executing graceful arcs in space while doing interplanetary battle? Fuggedaboudit! Now, what about all those brave astronaut daring-doo scenes that we see in Gravity? … and there are many more. There are, additionally, many more reports across the Web that highlight the spread between reality and entertainment in Gravity, including this one, here and – perhaps the best – an interview with NASA astronaut Cady Coleman, here. So what is the reality of spaceflight for an astronaut? You can do no worse than follow the regular updates that ESA astronaut Luca Parmitano is posting in his blog as he conducts his Volare mission on the ISS. He has provided fascinating, first-hand reports on life in space, handling fear, the mishap during his spacewalk and much else (Luca also has a Facebook page). And, we can humbly recommend that you follow more behind-the-scenes news on ESA’s daily activities in space via our main website and our other blogs, including ATV, Concordia, Caves, Gaia, EO, Astronauts and our very own Rocket Science blog right here, live from ESOC. Finally, in the end: Let’s remember why films like Gravity are important!